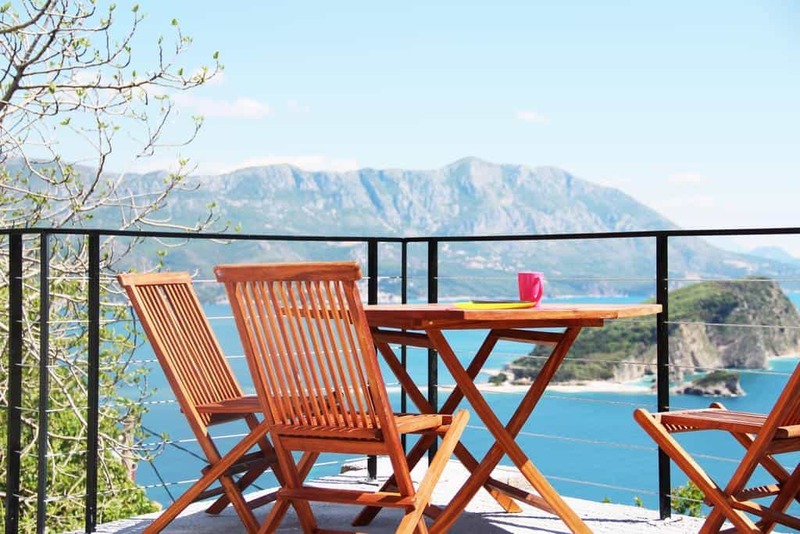 If you’re planning on visiting Montenegro this year, good for you! 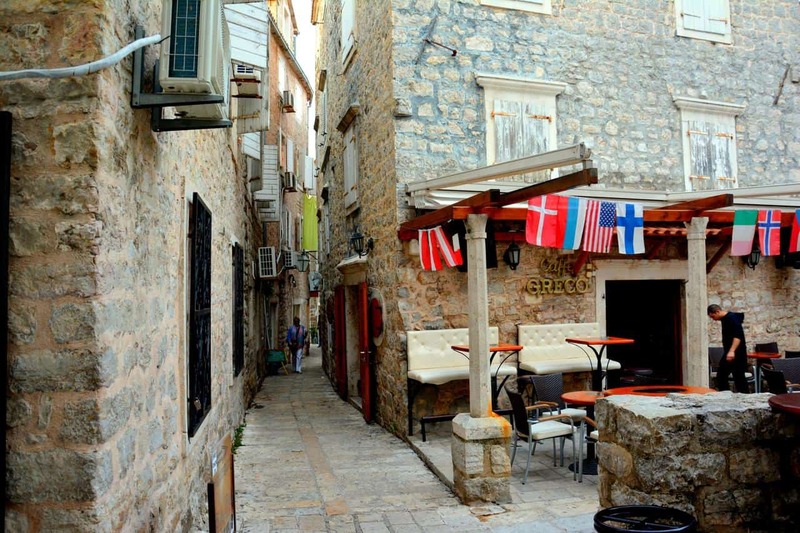 If Budva is on your itinerary, even better! This charming little town has a lot to offer. From fine pebble beaches, narrow winding streets, to the renowned nightlife. Out of all the little towns on the coast, this one has the party spelled out for you. 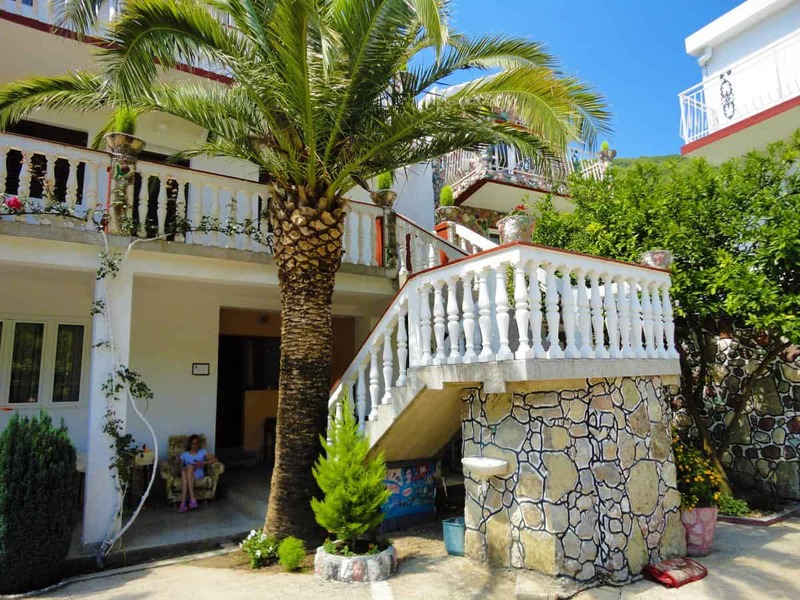 Nevertheless, you’ll be able to find some badly desired peace and quiet, too, as you enjoy your meal in one of the romantic restaurants, or perhaps in the garden of your hostel. 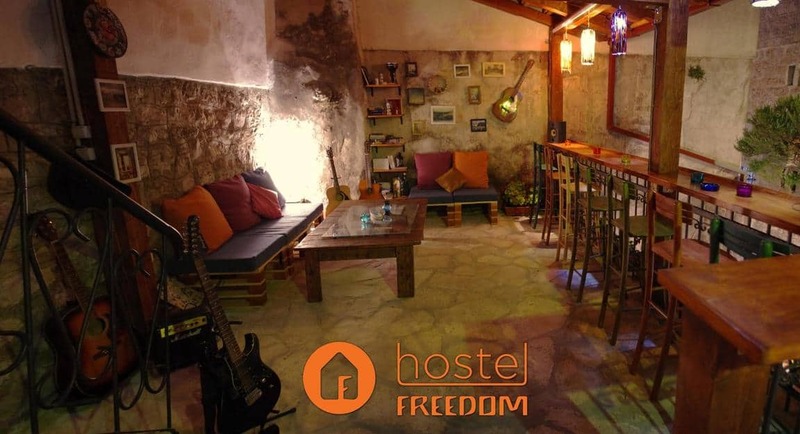 You might also wanna check out: Best Hostels in Dubrovnik! 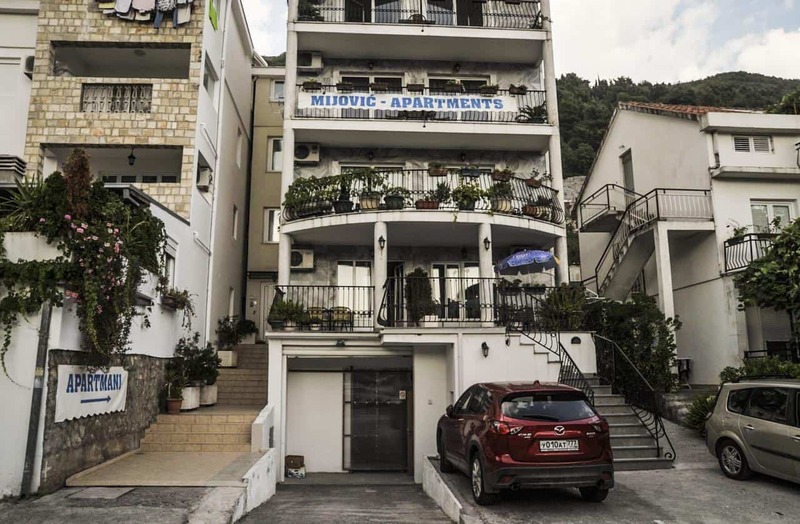 Another convenient thing about Budva is that you have plenty of hostels and apartments to rent. From luxurious hotels to family-owned apartments, you can choose which accommodation suits you best. 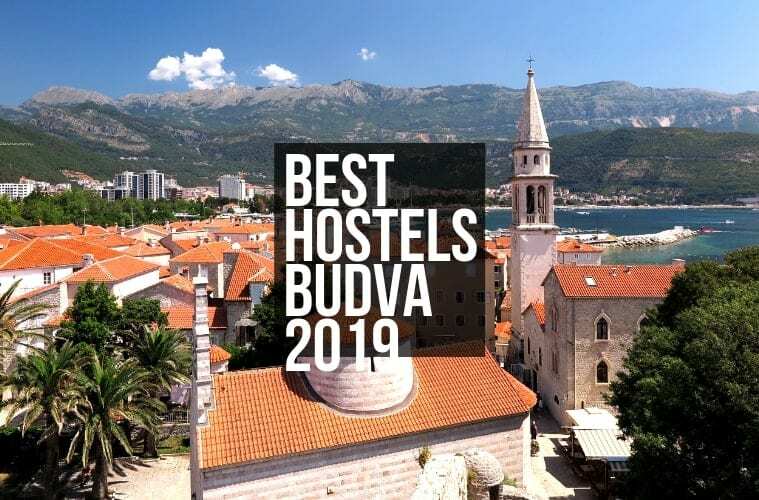 For that reason, here are the very best hostels in Budva, ideal for backpackers, budget traveler or people traveling solo across the country. 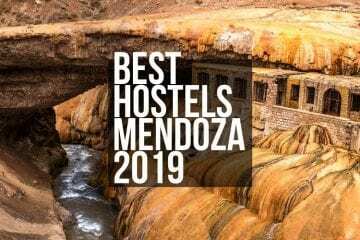 We could go on and on about this hostel, but let’s give you some basic amazing facts. First of all, it has a multitude of great reviews from people all over the world. Secondly, the beach is very close. There are an open common room and a bar balcony with books, guitars, and music. While the bathrooms and rooms are of modern design, the space for socializing has a completely different, local appeal. Bear in mind that there are some age restrictions here: they only accept guests from 16 years of age and older. Also, guests who are over 45 can only get private rooms. If you’re traveling by car with your pet, this hostel will be the one for you. It has free private parking, and it’s pet-friendly. In case you haven’t got a vehicle, you can hire it from them. In addition, it also offers family rooms, too. You and your kids are sure to have a pleasant stay. Most of the guests especially loved the excellent Wi-Fi connection, as well as the spacious rooms. 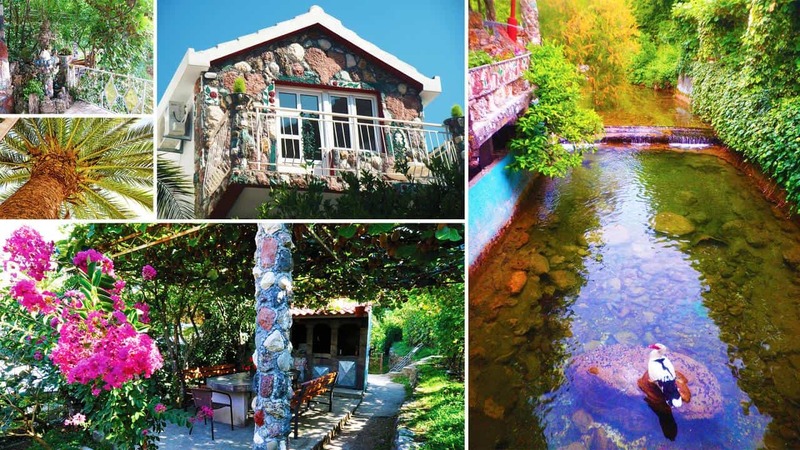 You can observe the high mountains, the peaceful sea, or the hostel garden from their windows. 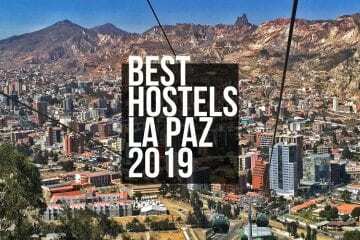 It might be a bit challenging to get up there everytime you coming back to a hostel but worth it! The views are stunning, you won’t regret. On the other hand, if you prefer absolute peace and quiet, you should definitely book this one. That doesn’t mean you can’t hang out in a quaint common room and get to know the other guests. The common space is really wonderful, while the dorm rooms are squeaky clean and practical. 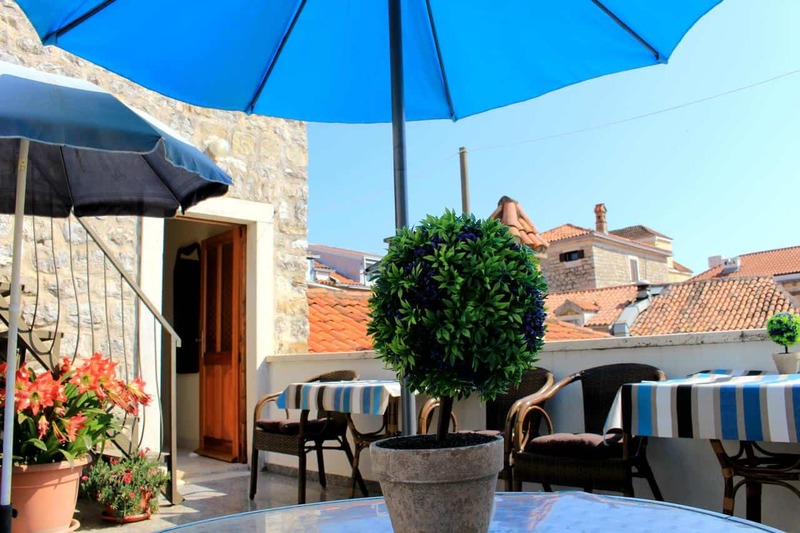 What is more, you are in the very heart of the city, overlooking the narrow streets. The city center proximity is literally 500 meters. When visiting a town on the coast, one would certainly enjoy a sea view. In that case, how about a balcony room with an outstanding view? It’s spacious enough for you to enjoy your dinner there. Also, there is a spa, Jacuzzi, private bathrooms, and even a boat for day trips. The cleanliness is superb. By the way, you will have to pay for the locker here. 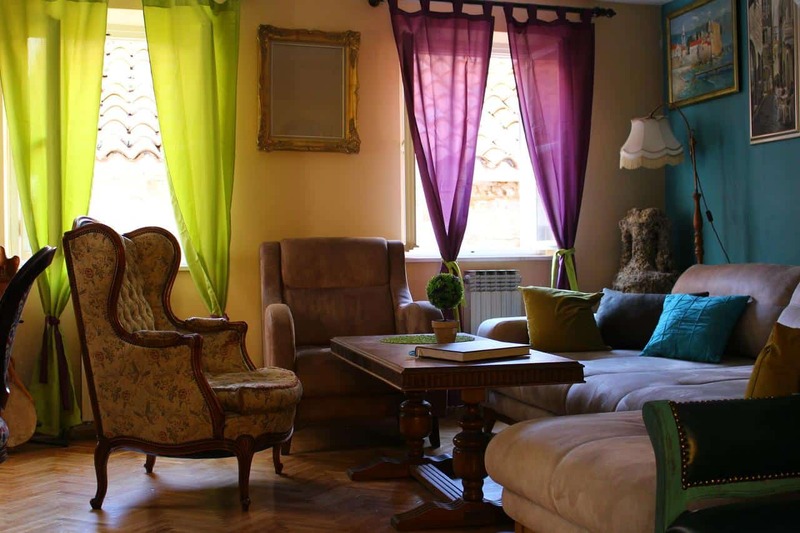 As for the location, the hostel is some 20 minutes’ walk from the city center. Therefore, you are bound to have a nice rest away from the town buzz. 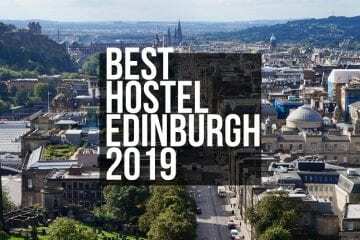 This is the best hostel to choose if you like having all the information in one place. 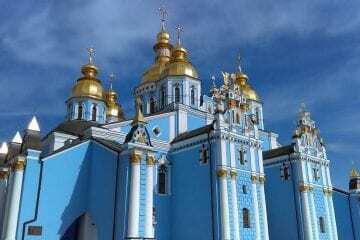 You can get all the details about the local and international tours. Try visiting the neighboring towns in Bosnia and Herzegovina and Albania, or opt for an adventure in the canyons. As for the rooms, they are all air-conditioned and brand-new. Also, the common attic room is the place where parties and quizzes are organized every night, so you are bound to have fun before going out to the local pubs. As for breakfast, there’s a restaurant right next to the hostel. Perhaps it doesn’t offer organized entertainment, but it has some great recommendations. 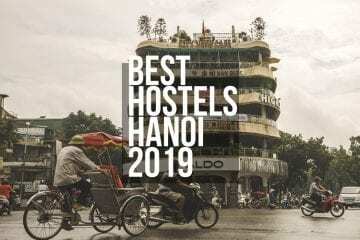 The previous guests were mostly a group of friends, and they highly praised the staff and the service, especially when it comes to late check-outs. 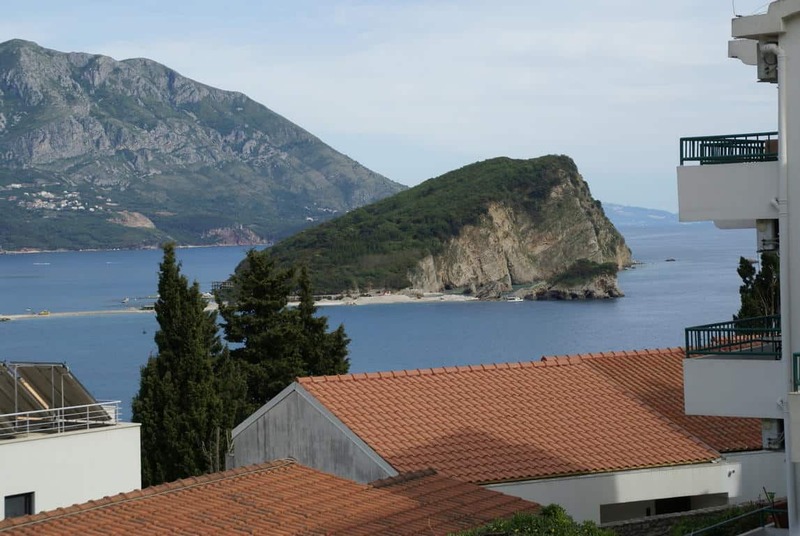 The beach is only 3-minutes’ walk, and one of the best clubs in Budva isn’t too far either, as well as the local church. 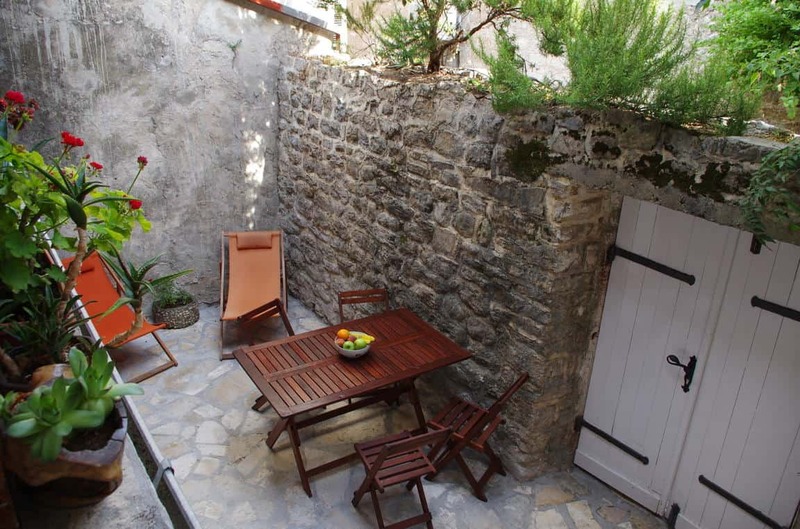 Another advantage is its reasonable price and the proximity to the Old Town. 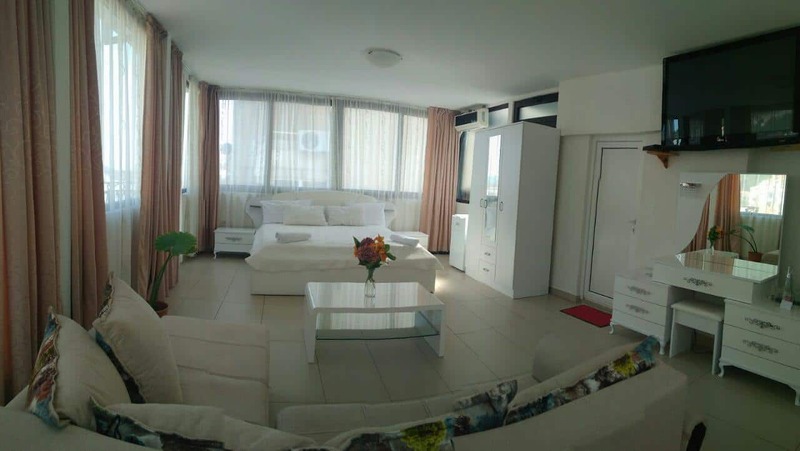 In case you’re tired of typical hostels, why don’t you book a stay in Mijovic Apartments? This is basically a big, family-owned house. 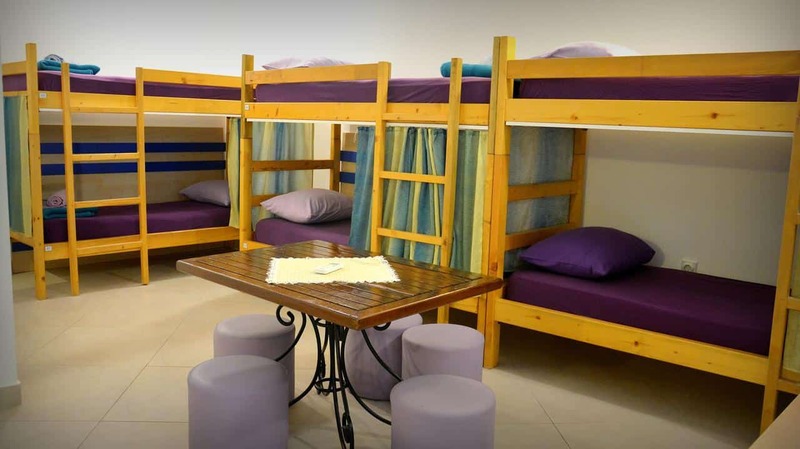 It gives you more privacy than a regular hostel, but it is still just as convenient. 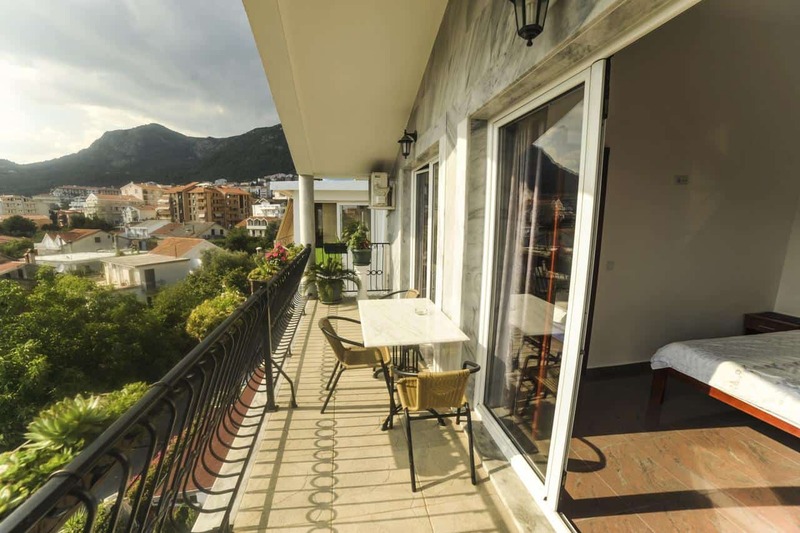 The rooms share a great common balcony with a splendid view. 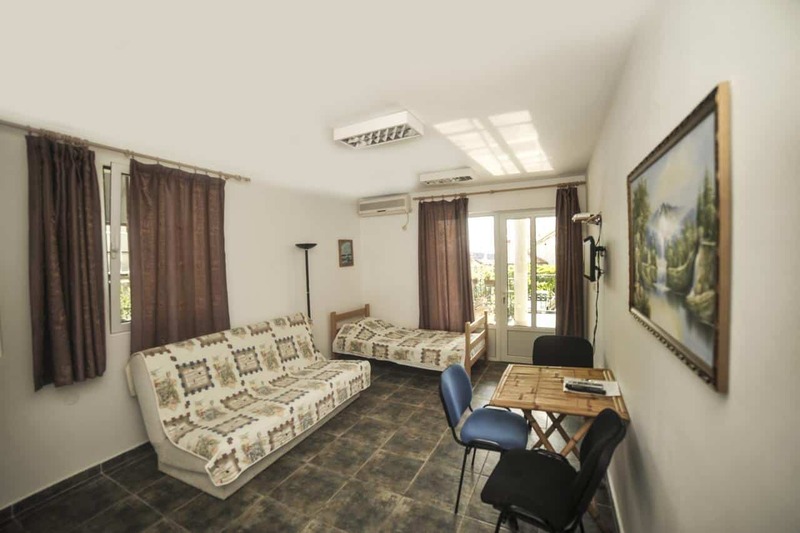 Each room has a small kitchen, but there is also a pizzeria next door, and some very affordable restaurants nearby. There’s free parking included, too, though you should always book in advance. 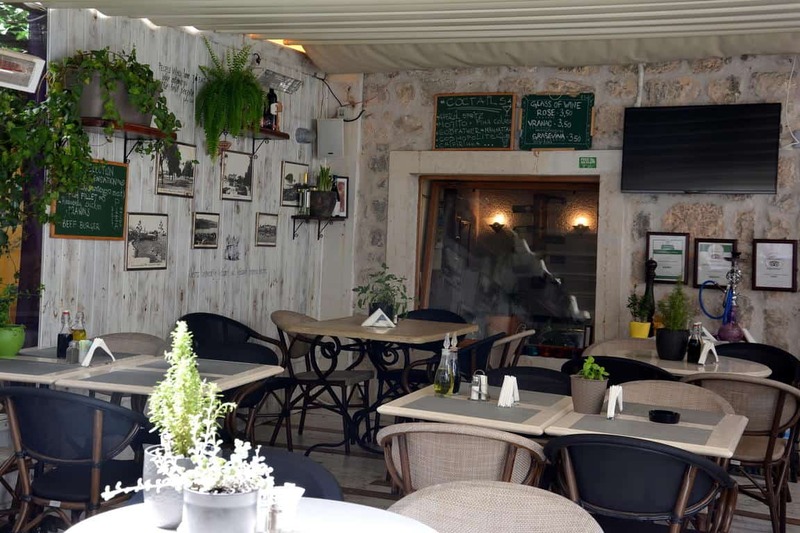 When you’re at the seaside, it’s such a pity to spend free time in a closed space, so a huge patio with a vine-covered roof is exactly what you need. Of course, it’s a perfect place for barbecue, too. 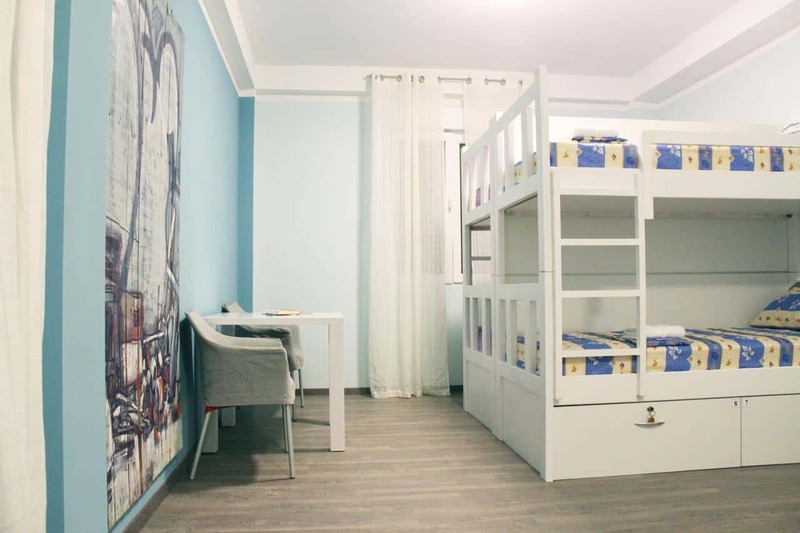 This is an excellent choice if you’re fed up with cramped hostels. It’s a bit further away from the city center, but there is free parking provided. 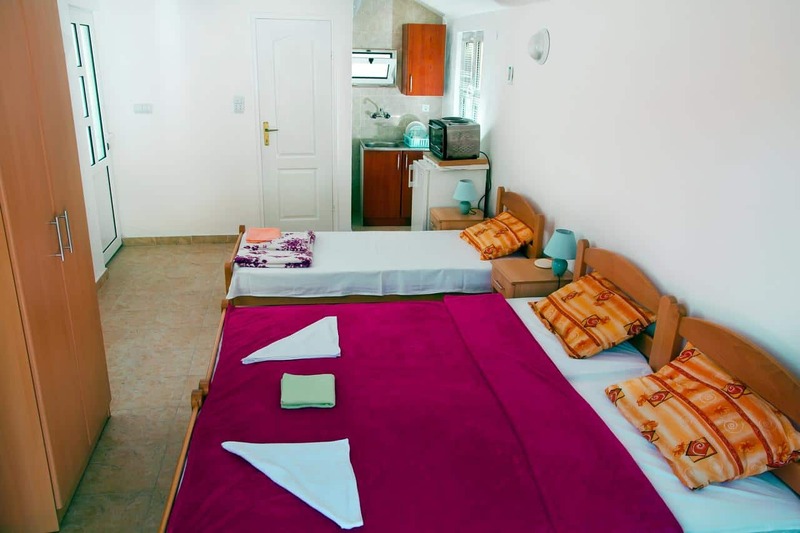 The rooms are spacious and air-conditioned. Also, if you’re into fishing, the Desnica river is just around the corner. 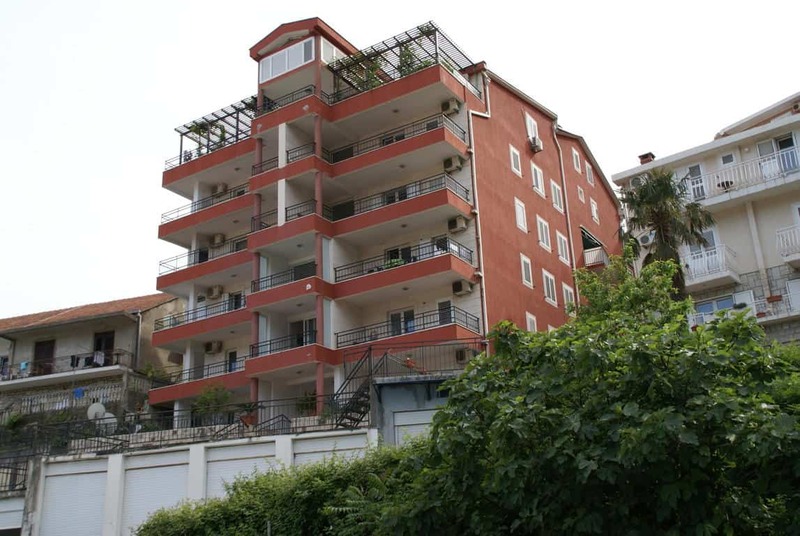 As you can see, Budva is a place where you can find typical hostels with dorm rooms and private rooms, but also family owned buildings with apartments for rent. 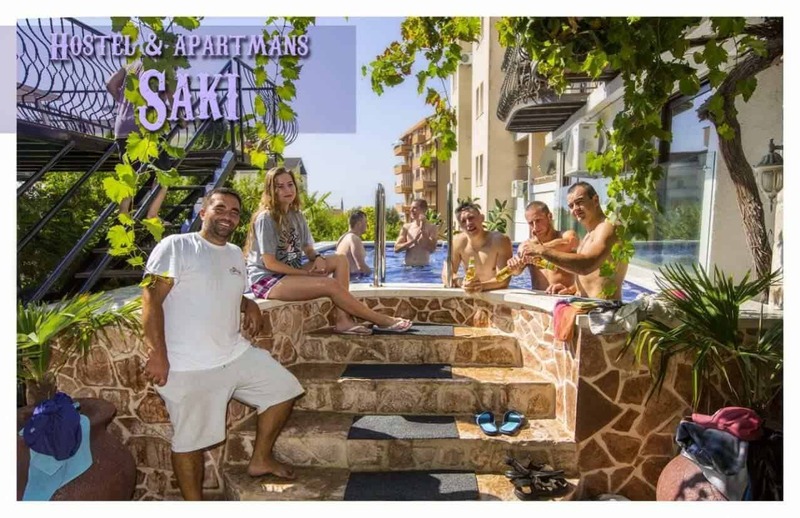 Whether it’s a party-loving hostel or a nice, quiet one that suits your best, you are bound to find them here and fully enjoy your vacation.